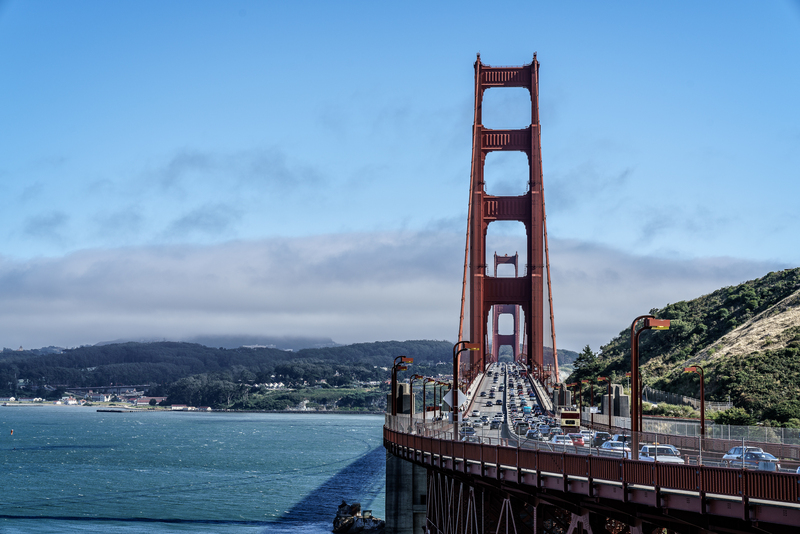 Calling a bridge a highlight of a world-class city might sound weird, but perhaps the sentiment is more understandable when that bridge is the Golden Gate Bridge spanning its eponymous strait. I spent hours capturing the Golden Gate and its environs from as many perspectives as I could, hiking from Vista Point in Sausalito all the way over the bridge into San Francisco, traipsing around the Presidio and Marshall Beach, and then hiking all the way back to Vista Point. Considering that I'd already spent most of the day hiking in the Marin Headlands, that's saying something about how awesome I found the setting. When contemplating the Golden Gate Bridge, I also can't help but think of Star Trek. The Golden Gate Bridge is the unofficial symbol of Starfleet Command, being used in all its establishing shots. I suppose I must make my peace with never going to space, but at least I can trek to the Golden Gate!